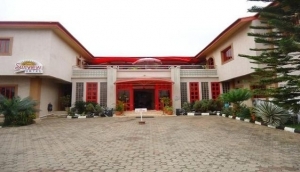 From family-run guesthouses to luxury complexes, Nigeria boasts an astounding array of hotels for all budgets and needs. Our guide to hotels in Nigeria lists a variety of places to stay that will allow you to relax and enjoy your time exploring the country. Whether you wish to soak up the sun in a beach resort on the coast, enjoy a slice of luxury in a five star hotel or experience the local culture up close in a family-run guesthouse, there is sure to be a hotel in our guide that is perfect for you.